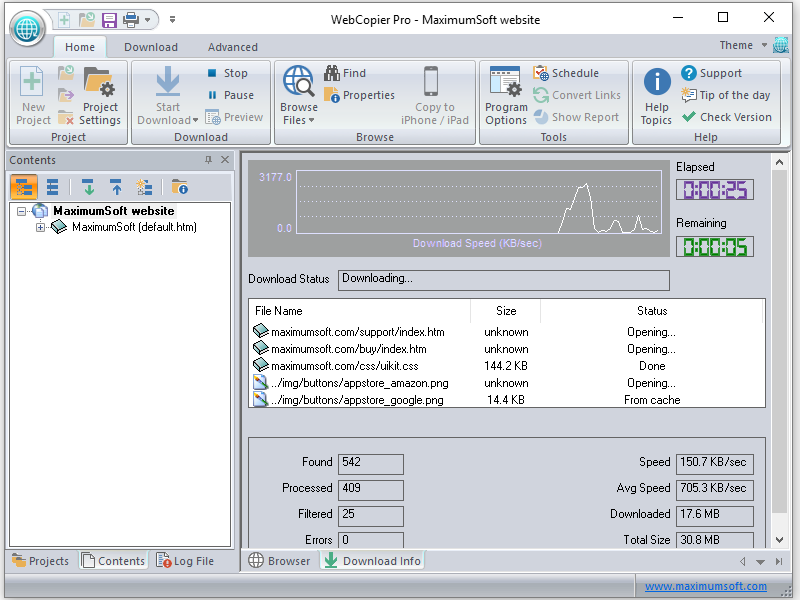 These products help to download websites or intranet contents to desktop computers (Windows PCs or Macs) and mobile devices (iPad, iPhone). 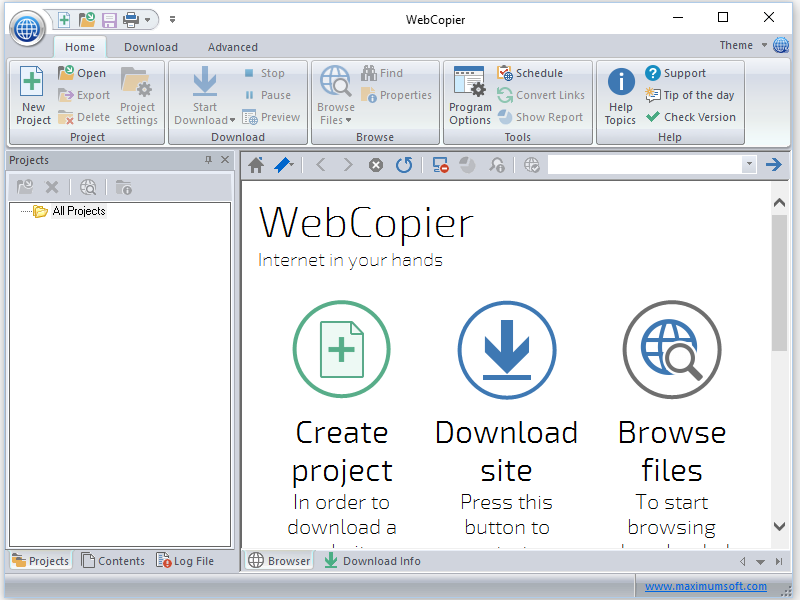 Companies can use WebCopier to transfer company's intranet contents to staff computers / tablets / phones, create a copy of companies' online catalogs and brochures for sales personal, backup corporate web sites, print downloaded sites. Individuals can use WebCopier to save complete copies of their favorite sites, magazines, stock quotes. Developers may use this tool to analyze websites structure, find dead links on a website. Available on Windows PCs and Macs. WebCopier Pro™ is based on award-winning WebCopier™ product and is the most powerful version of our website download products. It goes beyond traditional website download tool by integrating powerful and innovative features to find, manage, analyze and track information on the Internet. With iSaveWeb you don't need anymore to bookmark websites you like, just save them to your device and view them offline. Websites will be stored directly on your device, and can be opened anytime, anywhere, even when Internet is not available. 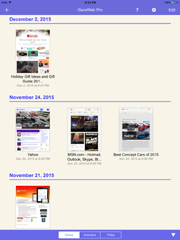 Available on iPhone, iPad and Macs. Transfer online websites, HTML-based catalogs and presentations directly to iPad or iPhone, and access them anytime, anywhere. 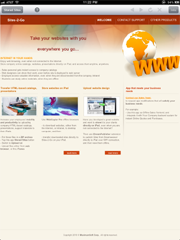 Upload websites from desktop computers directly to iPad / iPhone, either via web browser, or from iTunes. These apps will help you to get more from your Socual Networks. Make a copy of your favorite Facebook posts and news. This eliminates a need to search again for posts and news that you liked before. You can even use iSaveFbook as your everyday Facebook app. With support of Zoom and Landscape mode, this app provides more convenient way to browse Facebook. Download interesting tweets and pictures on Twitter. This gives instant access to tweets that you liked before. Saved tweets and pictures will be stored on your device, and you can access them anytime, anywhere, even offline. You can even use iSaveTweets as your everyday Twitter app. With support of Zoom mode, this app provides more convenient way to read Twitter. Use these products to move business forms to mobile devices. Replace your standard Paper forms with similar electronic forms that will be available at your fingertips on your mobile devices. 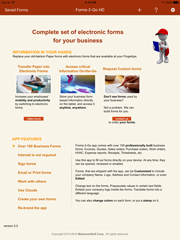 Completed forms can be emailed, copied to a Cloud service, printed. Copyright © 1999- MaximumSoft Corp.